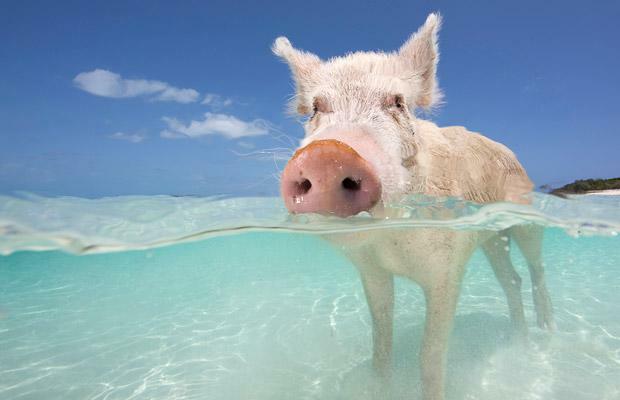 These amazing pigs swim every day in the crystal clear waters of the Bahamas – on their own tiny island where they live in luxury. They show off their piggy-paddle to visitors who flock to their beach to see the extraordinary site of wild pigs making a splash in the beautiful azure sea. Pig Island, or Big Major Cay as it is officially known, is blessed with a natural water spring and is sheltered by a string of neighbouring islands that protects it from waves caused by tropical storms. The pigs are thought to have been introduced to the island by passing sailors who may have thought they would make a good food source. 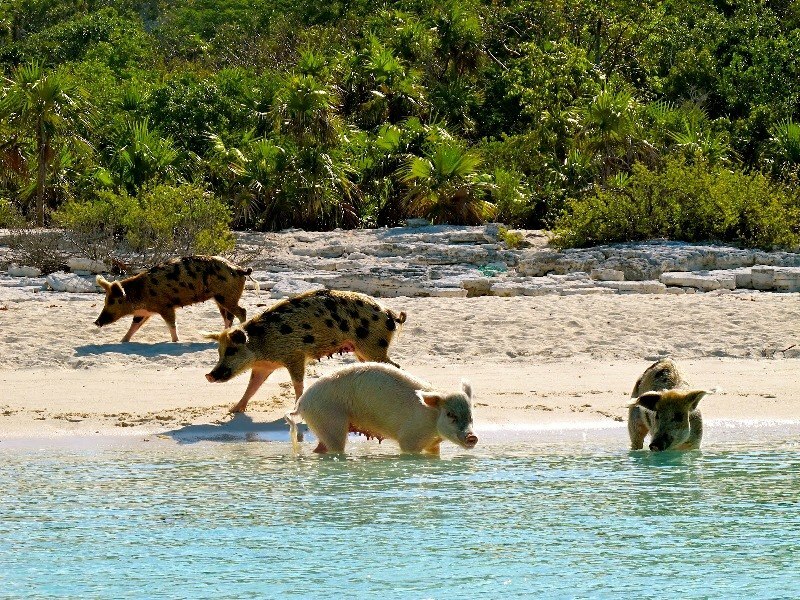 This entry was posted in animals, travel, Uncategorized, vegan, vegetarians and tagged animals are friends not food, bahamas, cute, piggies, pigs, smart, swimming, travel, vegan, vegetarian. Bookmark the permalink. I know. I can’t help smiling and laughing. I would love to swim with them, this champions my dream of swimming with dolphins:) I bet your stuffed-piggy toys are very cute. Do you collect them? Thanks for interest.